This adjustable height bath step is a simple solution for making getting into and out of the bath easier. 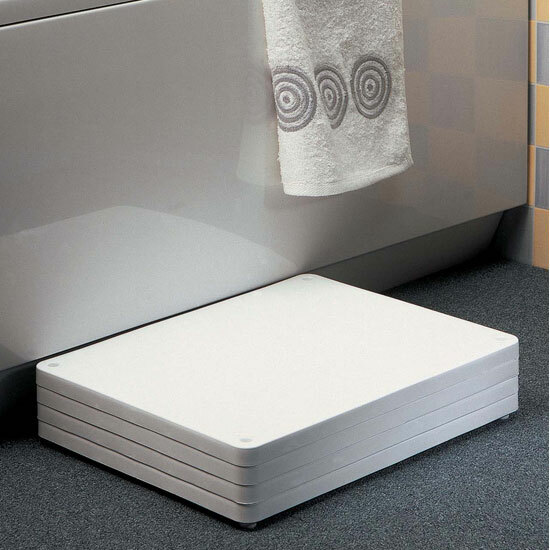 The bathstep consists of four layers which join together allowing the height to be adjusted to suit the individual user. The maximum height of the step is 100 mm or 4", in 25 mm or 1" increments.